This Native American Heritage Month, we’re highlighting those who play a pivotal role in helping the American Red Cross accomplish its humanitarian mission every day. This week, we’d like to highlight Lauren Snow, an AmeriCorps Member with Red Cross Service to the Armed Forces (SAF) and a proud member of the Chickasaw Nation. Here is a conversation we had with her around Native American Heritage Month and our work with tribal communities. Chickasaw Nation. Just as a “fun fact,” the Chickasaw Nation resides in Oklahoma and is one of the “Five Civilized Tribes” along with the Cherokee, Choctaw, Creek and Seminoles. Due to my father’s occupation, my family moved around the United States quite a bit when I was growing up. I lived in a total of seven different locations before the age of 18, including states on the east coast, west coast and several in between! As a Native American, what do you see as the Red Cross’s role with tribes? As a Native American, I see the Red Cross fulfilling an important role of providing support for Native American communities by offering an outlet for services in times of need and opportunities for volunteers to give back to other tribal members. The Red Cross works with the Chickasaw Nation to provide citizens with the training needed to assist with emergencies and disasters and enables volunteers to serve their community in times of need. How do the tribes assist the Red Cross? 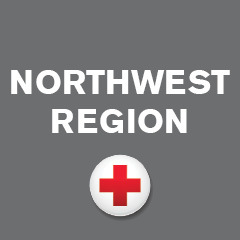 Tribes native to Washington State have assisted the Red Cross by providing volunteers as well as generous donations to assist in relief and emergency preparedness efforts across the state. Additionally, tribal members can sit on the Red Cross Boards. Currently, there is one individual of the Tulalip Tribes sitting as a member on the Red Cross Board in Snohomish County. What would you like people to know about tribal nations? It is always encouraging when others take the time and interest in learning about the history and culture of a Native American tribe or tribes located in their area. There are so many aspects of Native American culture and heritage that individuals outside of that culture do not realize and can easily overlook, as no two tribes are the same! As a Chickasaw citizen, I have been lucky to be immersed in my tribe’s culture through not only the learning of the native language and recipes, but through the passing on of ideals such as the importance of always treating your elders with respect, having a strong work ethic and self-determination and the value of community.